Now it's easier than ever to launch a video conference with the GoToMeeting integration. Here are the steps. Sign into your GoToMeeting Account. 3. Copy the link into your calendar that's linked with MeetNotes. 4. 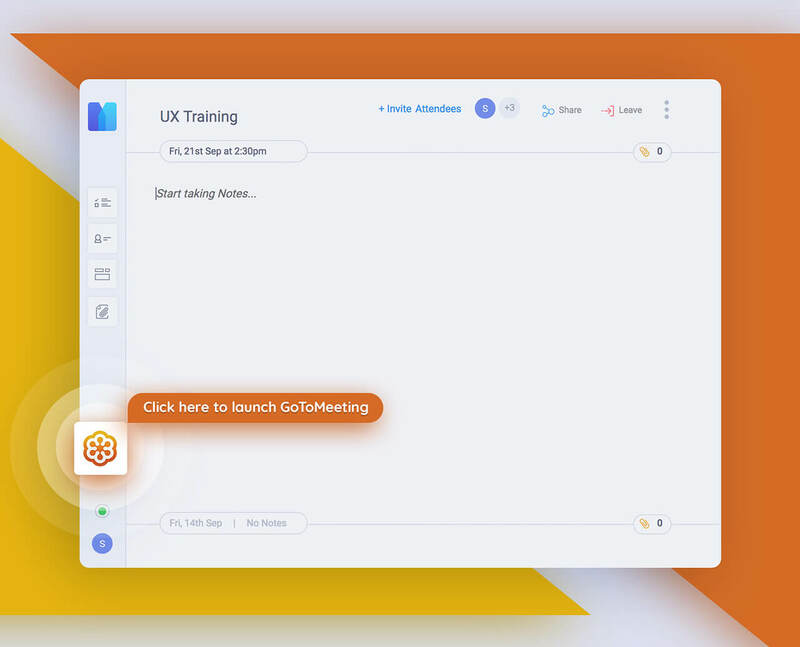 Your meeting card will be visible on the MeetNotes dashboard and you will see a GotoMeeting launch button on the left of your editor. That was how to launch a GoToMeeting from MeetNotes.